Brittany is one of seven children and was raised in Sugar Land, Texas. She moved to Georgia as a Division 1 athlete on a Full scholarship to the University of Georgia. She graduated from UGA with a degree in Public Relations. Brittany had the honor to be apart of 2 SEC Title Wins & 2 National Championship Title Wins during her collegiate career as a “GymDog”. Due to her 20 years in the sport of gymnastics, she is competitive, goal oriented, and has a work ethic that is second to none. After graduating from UGA, she moved to Savannah, GA and began her career working for a local builder in the area. Brittany’s Real Estate career has always centered around new construction. Soon after, she relocated to Augusta Georgia and began managing numerous new construction communities. Brittany has managed over 12 subdivisions for Meybohm closely working with developers & builder teams to produce award-winning communities. As a result, she has won many awards for those successful endeavors. She is a highly sought after Realtor in the Augusta Area helping Buyers and Sellers with all their Real Estate needs. She became Vice President for Meybohm within only 5 years of working for her broker. When asked to continue managing neighborhoods for Meybohm Realtors, she knew these were opportunities where she could put her passions & expertise to good use. After Successfully managing one of her many developments, Pine Bluff, Brittany was asked to manage Whispering Pines. Whispering Pines is a 650 home fully amenitized community located on William Few Parkway directly connecting to the Parkway Elementary. In her career so far she has sold more than $115 million dollars in real estate. In 2014 alone, Brittany Sold over 18 Million Dollars worth of Real Estate! She has also helped more 475 families achieve their goal of homeownership. This is a testament to her extreme dedication, unsurpassed knowledge of her industry, and her commitment to her clients. Take a look at some of the testimonials. Read experiences directly from her clients. She was awarded “Best of the Best” for Meybohm Realtors again for being in the TOP 25 of her industry. Her passion for Real Estate, development, and finding families their homes, well, “there just isn’t anything better to wake up to and work through every day”, says Brittany. 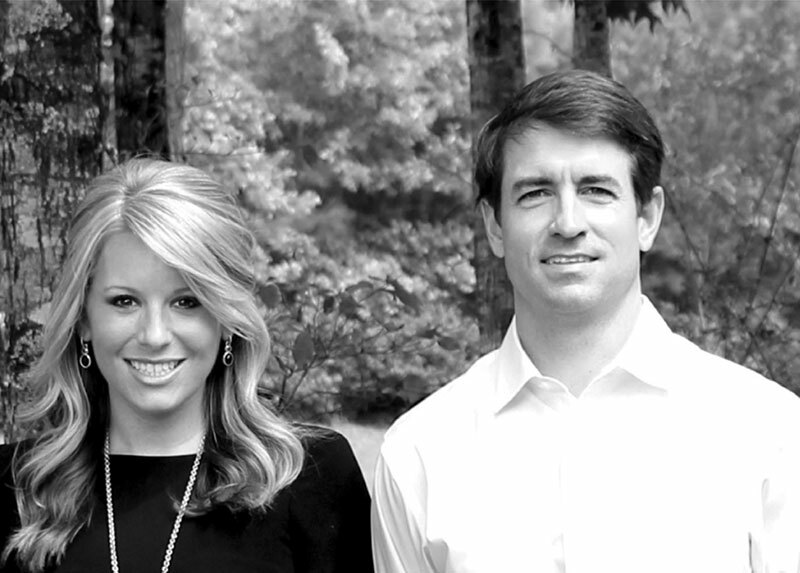 Brittany is married to Beau Hopkins who is also her business partner and fellow Site Realtor at Whispering Pines. Together they have three children, Blakely, Chandler, and Brantley. Her children, cooking, family, sports & Real Estate are the true passions in her life. Brittany is looking forward to making Whispering Pines the #1 place for families to call home. She is #YOURSOCIALAGENT & does all things Real Estate. If you need to Sell, Buy or Relocate she is absolutely the Realtor for you! Her License number is 336421. Beau was born and raised in Augusta, GA. He attended Lakeside High School, graduating in '99, and then moved to Statesboro, Georgia to attend Georgia Southern University. While attending Georgia Southern, Beau was an active member of Kappa Alpha Order. He graduated with a Bachelor's Degree in Marketing. Beau met his wife Brittany while selling Real Estate in Savannah. Beau and Brittany moved back to Augusta in 2008 to continue their careers and start their family. He joined Rhodes Financial Services where he has been performing software sales and tax preparation over the last 6 years. Beau & Brittany have two beautiful daughters, Blakely and Chandler. Beau has always had a yearning for Real Estate as his Grandfather was a Realtor for many years. He pursued this passion right out of college working for Pulte Homes in Bluffton, SC and then Genesis Designer Homes in Savannah, Georgia. Pulte Homes provided Beau with the knowledge of construction, warranty, and overall concept of how the building process works from behind the scenes. While working for Genesis, he was able to be hands-on with buyers seeking to build or purchase a home. This is where Beau found his true passion for all things Real Estate. He understands the construction process and provides the necessary knowledge to help guide buyers and sellers through every step of the home buying/selling process. Beau has made a full circle back into Real Estate after years of gaining experience in numerous fields. He enjoys creating a bond with each of his clients and their families while providing them the best customer service possible. Whether your family is looking to Sell, Buy, or Build a home, Beau knows how to do it all and he is the Realtor for you.